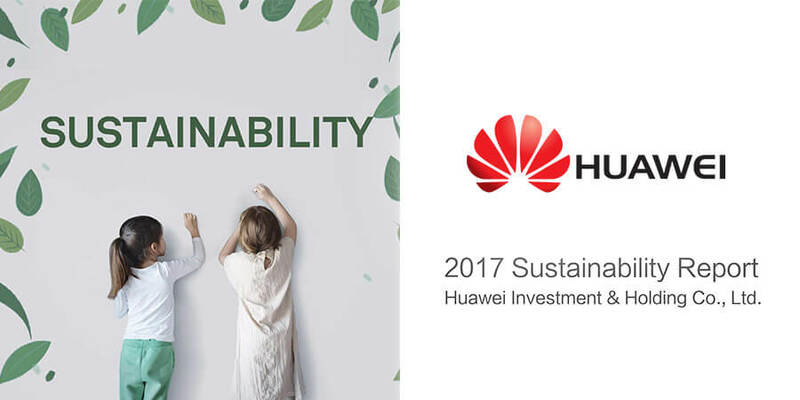 Huawei released its 2017 Sustainability Report demonstrating the initiatives undertaken in the year across four areas: Bridging the Digital Divide; Supporting Network Stability and Security and Protecting Privacy; Promoting Environmental Protection; and Building a Healthy Ecosystem. Over the past year, Huawei has actively benchmarked its operations against the United Nations Sustainable Development Goals to achieve its strategic goals in sustainability. "At Huawei, we wish to leverage our expertise to build a sustainable, fully connected, and intelligent world. We see a future where every person, home and organization enjoys the benefits of innovation and connection," said Huawei Chairman Dr. Howard Liang. "As we encourage more inclusive and sustainable global economic growth, we sincerely hope to contribute more to our world and the future." In 2017, Huawei's innovative WTTx solution helped resolve last-mile access issues in both densely populated cities and sparsely populated rural areas. This solution reduces connectivity costs by 75% and makes network roll-out 90% faster. The company also deployed RuralStar 2.0, a solution for rural networks, for 12 carriers in eight countries, including Thailand, Ghana, and Mexico. This solution helps increase network coverage in rural areas, allowing more people, especially those in under-developed regions, to access the online world. Huawei's Mobile Money solution enables carriers and banks to deliver innovative, reliable mobile banking services without adding too much to their asset base. It has been deployed in 19 countries and serves over 152 million users. This solution makes financial services simpler and more accessible, driving financial inclusion.